Amanda Foley is a writer and marketing associate at audience.io, a New York and London based audience development company. Naming your startup can be one of the most difficult challenges for an entrepreneur. 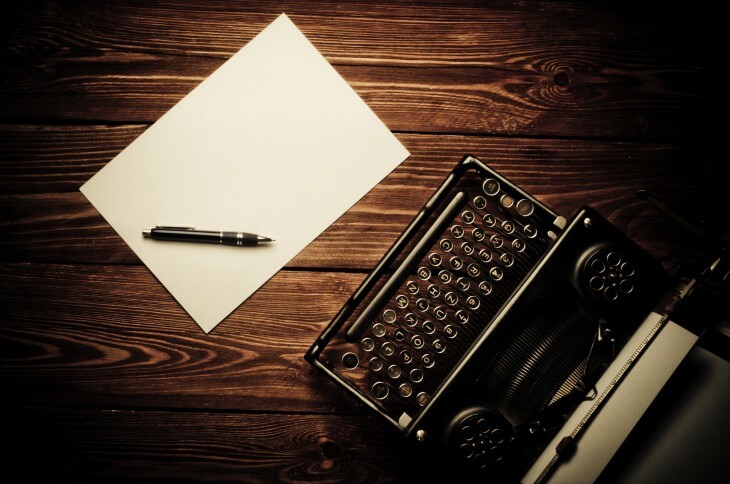 Not only do you need to come up with something relevant, but you have the added stress of worrying about the verb effect, if it’s easy-to-spell, globally understandable, catchy, memorable and gives off the right impression. The list of important factors when naming your startup is practically endless, and there are many common roadblocks when it comes down to choosing the final name. Once you’ve racked your brain and come up with a couple of potentially perfect ideas, you then have to figure out if the domain name is actually available. Whilst some argue that paying big bucks for a dot-com address is essential, sometimes it’s unavailable or just too costly to purchase from domain name squatters. So, what happens if you think of the “perfect” name and you can’t get that prime dotcom address you were hoping for? “.io” websites, which have wildly grown in popularity over the last year, use the ccTLD (country code top-level domain) for the Indian Ocean Territory. The .io TLD has serious “nerd allure” amongst developers, techies and hackers. “These new .io sites are almost artisanal in nature – small, well crafted and functional. It’s like a TLD for techies with taste” says entrepreneur Russell Beattie. The .io domain also references “input/output”, something that Courtney Boyd Myers, founder of audience.io was drawn to when naming her company, which manages the input and output of a startup’s audience. Cofounder of Greenhouse.io Daniel Chait learned first-hand how tough it is to find a dotcom domain name that was functional and available, which is why he turned to a “.io” as well. “The reality is that startups today need to look at other domains,” explains Chait. “It’s like the NYC real estate market; once an area gets ‘hot’ everyone moves in.” The icing on the cake for .io extensions is that Google recently started treating .io like a “generic” domain extension in search results. Let’s take a look at 10 startups who got a bit creative with their domain name registration and shunned the “traditional” dot-com name for something a bit snazzier. Listly is a content marketing tool that helps helping bloggers and publishers “take lists to the next level” by creating lists that are social, viral and constantly evolving. When launching Listly in 2011, co-founder Shyam Subramanyan says that “listly.com” wasn’t available, but they were okay with choosing an alternative. Opting for the often used “.ly” extension, they ended up with List.ly. “We wanted a domain name that was shorter than listly.com anyways… it allows us to have more compact short link URLs for Listly lists,” said Subramanyan, also adding that “people [have] sometimes wondered if we are associated with a service outside the US”. Due to this reason, Listly ended up acquiring Listly.com – but they kept the .ly extension. “Even though we have listly.com now, we still love being “listly” rather than “listly.com“. That’s why you see listly.com redirect to list.ly,” says Subramanyan. Another company using the popular “.ly” extension is New York-based Lover.ly, a visual search engine for wedding planners, aiming to forever change the way brides plan their big day. 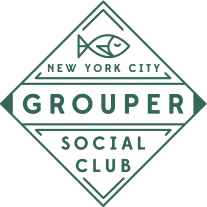 Launched in New York City in 2011, joingrouper.com is a social club that sets up drinks between two groups of friends, then lets the sparks fly. The social events startup has spread to major cities in the US, and has just launched across the pond in London. 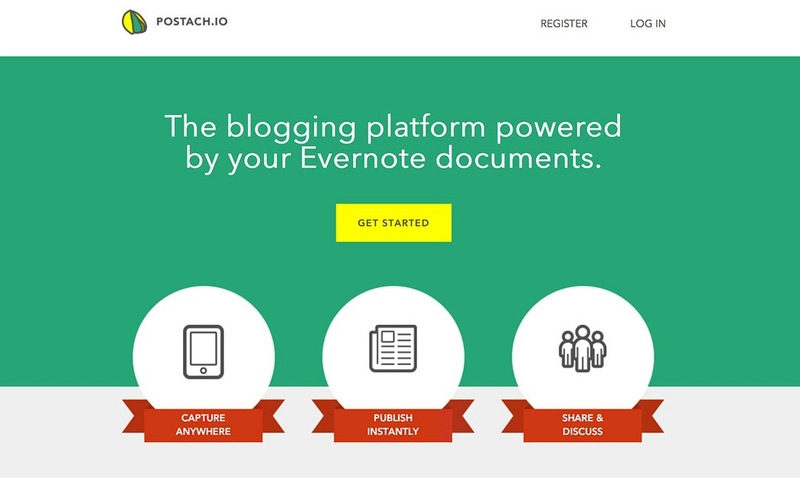 Called “one of the 15 best blogging and publishing platforms on the Internet today” and winner of the 2013 Evernote Dev Cup, British Columbia-based Postach.io managed to jump on two startup-naming trends at once. The company has both misspelled “Pistachio” and shirked the dot-com. It seems not even the fact that “Pistach.io” was taken would deter them from having the name they wanted. A good luck charm, perhaps? 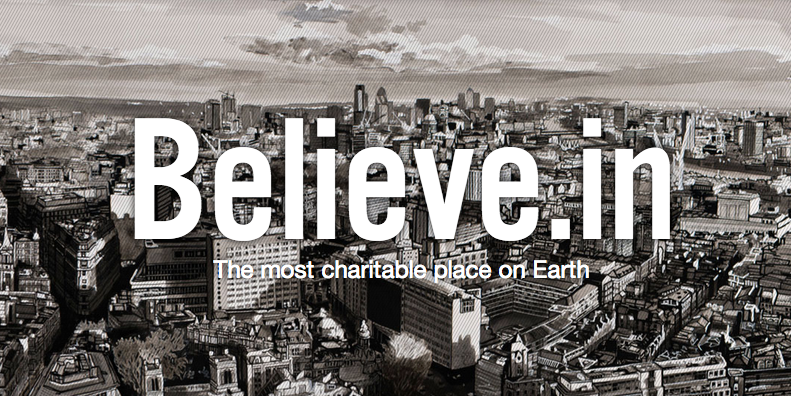 Believe.in is a UK-based startup that has just launched globally, making its social fundraising platform available to charities to the US, Canada, Ireland and Australia. So why choose the “.in” TLD? The well-chosen name is evokes mental connections with “believing in something” and putting your energy towards social good, which is exactly what Believe.in is trying to do. Mobile payment app paywithcover.com is a New York-based company, like Grouper, who included a more distinct call-to-action in its domain name. Cover clearly explains the functionality of the app right in the URL – a seemingly effective strategy, as the startup just secured $1.5 million in seed funding. “We decided to focus our energy on building our company instead of worrying about the URL. paywithcover.com is one of the first alternatives we thought of – it’s easy to remember and makes it clear what Cover is for,” says Andrew Cove, co-founder of Cover. “Not having the generic domain hasn’t affected our growth at all. 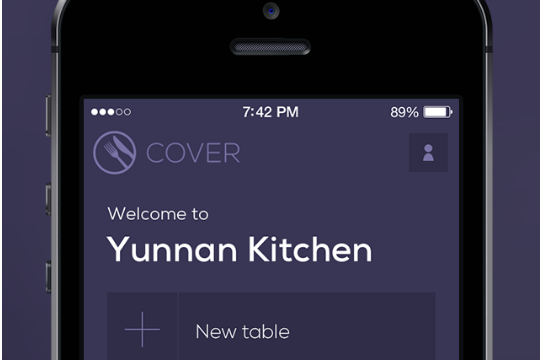 No one is putting ‘cover’ into their browser expecting to find a restaurant-focused mobile payments app. Lock8.me, a current darling of the Berlin startup scene and winner of TechCrunch Disrupt Berlin, decided on a “.me” extension rather than picking a dotcom. 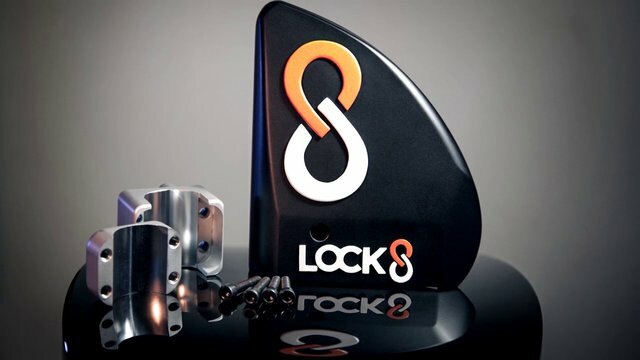 Lock8 has developed a smart bike lock, allowing you to locate and track your beloved bicycle via GPS in the case that it gets nicked by a would-be criminal. Lock8.me (“locate me!”) has a memorable domain hack that almost jumps off the page at you. In the case of Import.io, the domain name choice isn’t just about finding a dotcom alternative, it was about appealing to the right crowd. As mentioned earlier, using the ccTLD “.io” for your startup name is starting to become synonymous with “tools for techies”, and London’s Import.io does what it says on the tin. Import.io is all about organizing, exporting and visualising your data. Earlier this year the company secured over $900K in a seed round. Although extremely popular in Spain itself, up-and-coming crowdfunding platform indievoic.es chose to use the Spanish ccTLD for its domain hack. Hoping to become the “Kickstarter for Independent Media”, IndieVoic.es is a crowdfunding platform for everything from radio stations to blogs. Singapore-based founder Sasa Vucinic has a passion for helping to establish free press in the developed world, so its main audience tends to be outside of the United States. Without a primarily US-based audience, they fare fine without a dot-com. Lastly, we’ve got London-based getsomeheadspace, another company who choose to use a clever call-to-action in its domain name. Though the company now also owns “headspace.com”, you’ll notice it redirects back to the original site. Founded by a former Buddhist monk Andy Puddicombe, Headspace is cashing in on the growing “mindfulness” industry, and has had impressive growth and coverage in major media outlets around the world, particularly in the lifestyle industry. What’s your domain story? Let us know in the comments!